While HireAGreek.com is a secure tool to connect job seekers with employers around the world, when you register to the site anybody can message you via the “contact button.” Your information is secure and we do not reveal your contact information, unless you have revealed it yourself in the body of your resume. It has come to our attention that a few people send messages to job seekers asking them for money in order to secure a job for them. These people are not employers and they are looking for possible “victims” to transfer money to their accounts. Hire A Greek and serious employers will never ask you for money to hire you. This problem is present to all job listing sites and cannot be solved since anybody can send you a message via the “contact button,” which is a safe way for people to contact you. Again, your contact information is hidden for your protection. Before you accept any job proposals please be very careful and do some research online about the company and the employer. It is beyond our abilities to know who is approaching you with a job offer. Feel free to comment on this post and tell us your experience if any of these pretentious employers have approached you. Of course, no answer is right to this question and it all depends on one’s perspective. Family will always be there waiting for us and good friendships do not fade easily over time. There are many ways to keep in touch with loved ones, such as emails, telephones, skype, facebook. Moving in another country is indeed a hard overwhelming decision and one that cannot be made absent logic and courage. But do not forget, each journey, however large or small, always begins with a single small step. If you are calm, confident and well organized, nothing can ever go wrong. You should start looking for a job firstly in countries that you have family or friends already living and working in. It is crucial that you mention this in each job position you apply to. i.e. I already have family/friends living and working in Netherlands who can support me and I am planning to relocate there in the next few weeks. By informing your potential employers that you have some kind of connection to their country makes things easier for them and they will certainly give careful consideration to your application. You should know that citizens of European Union Countries are not required to have working permits or immigrant visas in order to work in another European Union Country. But if you consider searching for a job in the United States, Canada, Australia or New Zealand you should know that an immigrant visa is required to live and work there. An immigrant visa requires a sponsor, in other words an employer who will notify his local immigration office that he intends to hire a foreign worker. Most employers though do not want to go through this process because it’s time and money consuming, so you may encounter some trouble finding a sponsor. But do not give up. Your resume tells a lot about yourself from the way it’s written, to the things you choose to include. Your CV should be of a more international form, listing every single one of your skills in detail, emphasizing on duties you had on each previous job, experience you have gained from each job position and things you have accomplished in each company. Although not required, a good addition to your CV would be a brief reference to your character qualities, i.e. Leadership, team worker, self-starter etc. Give extra attention and try not to make any translation or grammatical errors. 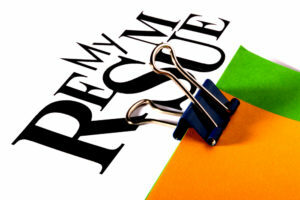 Make sure that everything in your resume is easily readable without confusion. An HR representative reads dozens of CVs per day and if yours is well structured and simple, he will spend more time reading it and consequently, grow more interested in your case. Have in mind that finding a job abroad is time consuming and you should not give up easily. Also, we can answer all the questions you may have, just write them in our forum and someone will be there shortly with the answer. 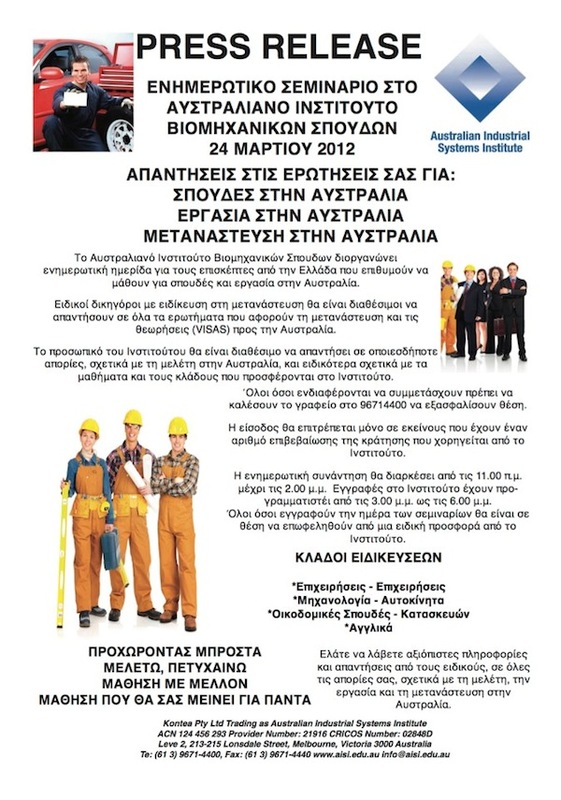 The Australian government plans to invite taxi-drivers from the economically ravaged nation of Greece, promising them guaranteed jobs and an attractive lifestyle in Melbourne, according to a recent article from the Herald Sun online newspaper. That will radically change Melbourne’s image as history will be repeated. 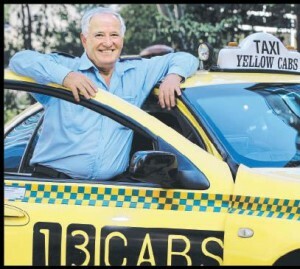 There was a period when Greek cabbies were a feature in the big Australian city and that is about to be revived. Read the full story on Greek Reporter.